Gibson Les Paul sales were significantly lower in 1960 than they had been in previous years. In 1961, the Les Paul was given a thinner, flat-topped mahogany body, and had a double cutaway which made the upper frets more accessible. 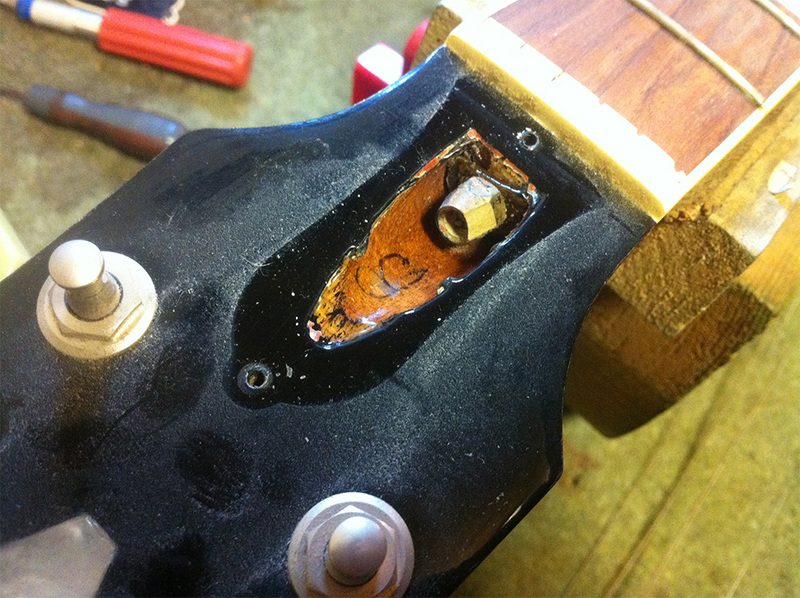 The neck joint was moved by three frets to further ease access to the upper frets. 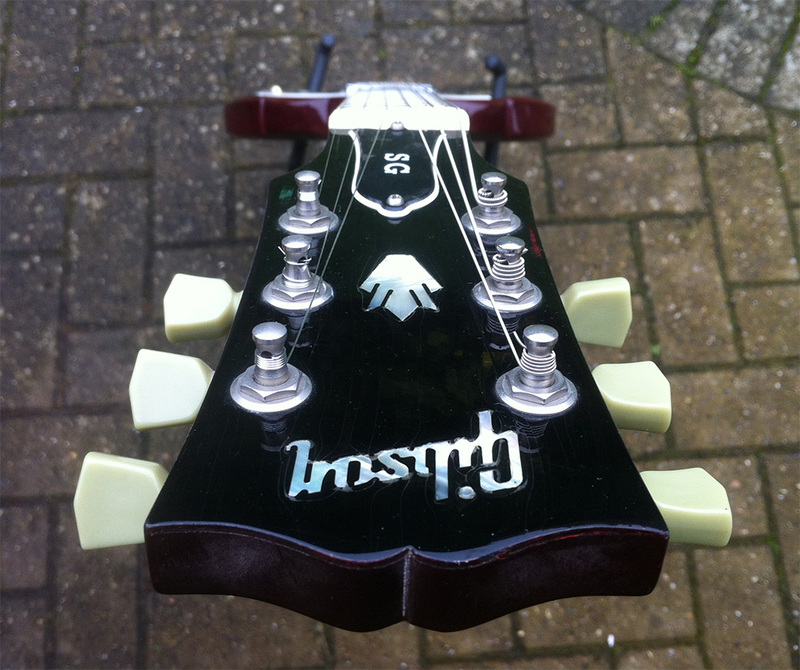 The simpler body construction significantly reduced production costs, and the new Les Paul, with its slender neck profile and small heel was advertised as having the “fastest neck in the world”. 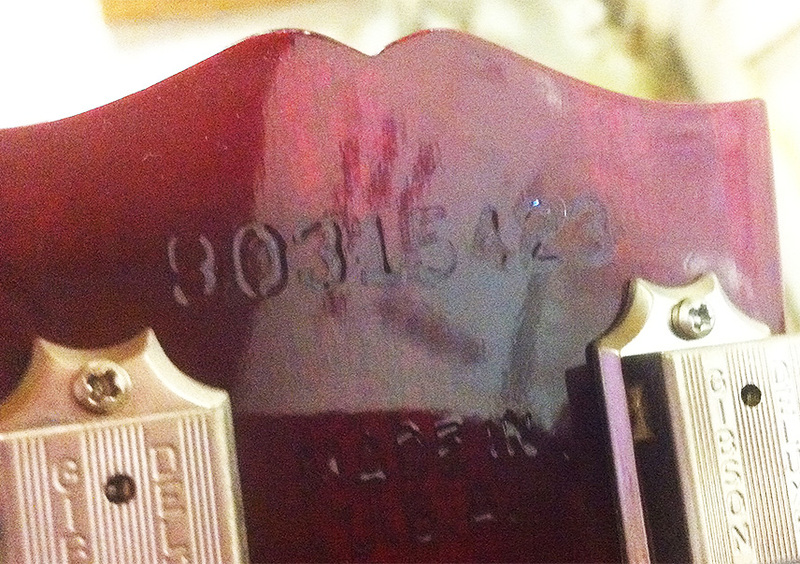 Although the new guitar was popular, Les Paul himself did not care for the new design, and requested the removal of his name from the new model. He remained under contract to Gibson, however, and he was photographed with the new model several times. 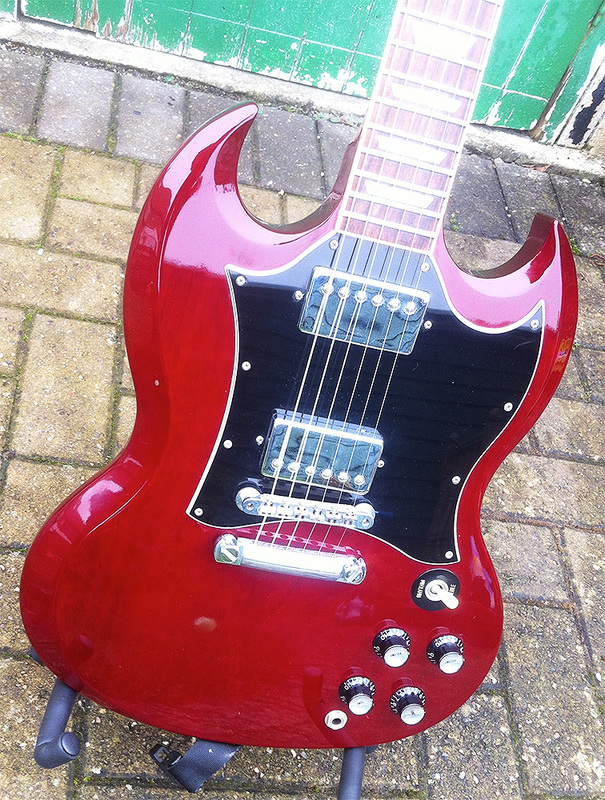 Generally the SG has a solid mahogany body, with a black “bat-wing” pickguard. 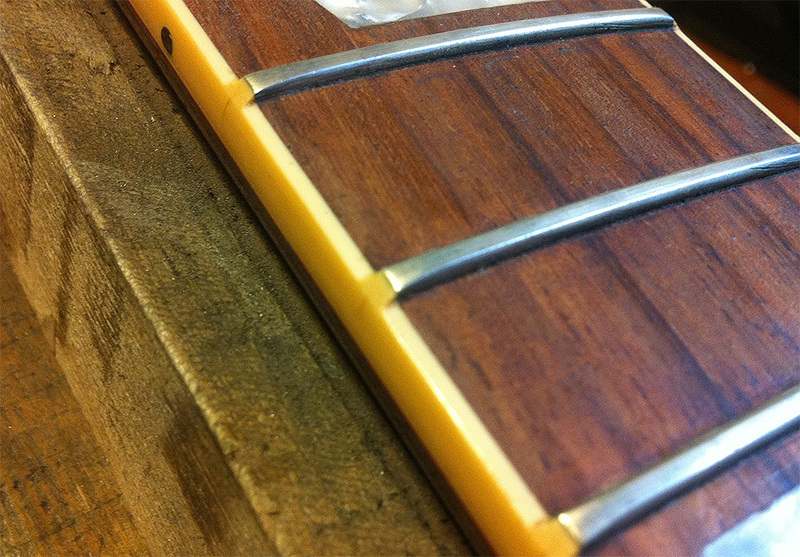 The 24.75″ scale mahogany neck joins the body at the 22nd fret. 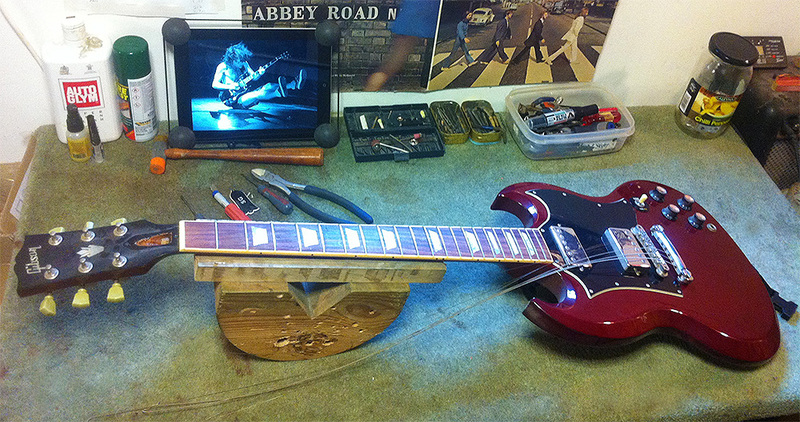 The SG’s set neck is shallower than the Gibson Les Paul’s, but features the traditional Gibson combination of two humbucker pickups and a Tune-o-matic bridge assembly. Noteable SG players include; Eric Clapton in the band Cream, Tony Iommi – Sabbath, Angus Young – AC/DC, Pete Townshend – The Who. 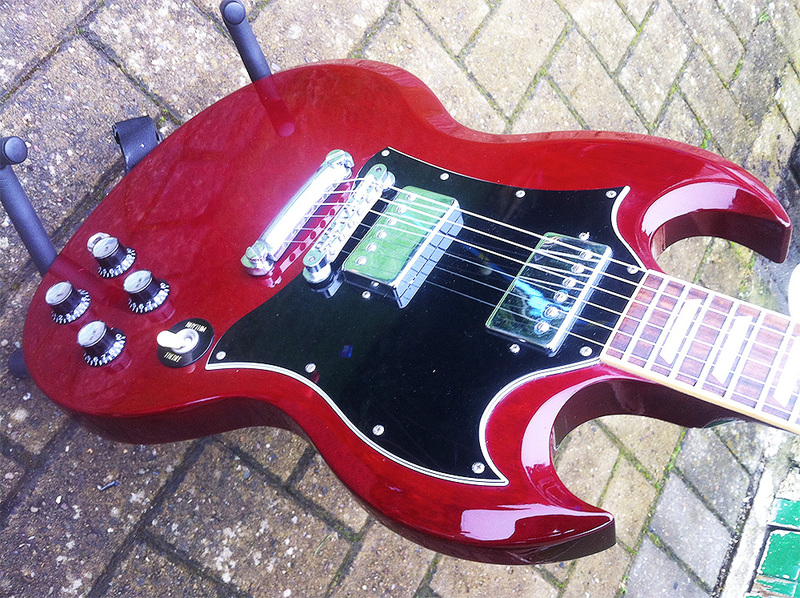 Jimmy Page also played a double-necker version of the SG (Gibson EDS-1275) when performing live with Led Zeppelin. This 20 year old model was in need of an extensive refurbishment. 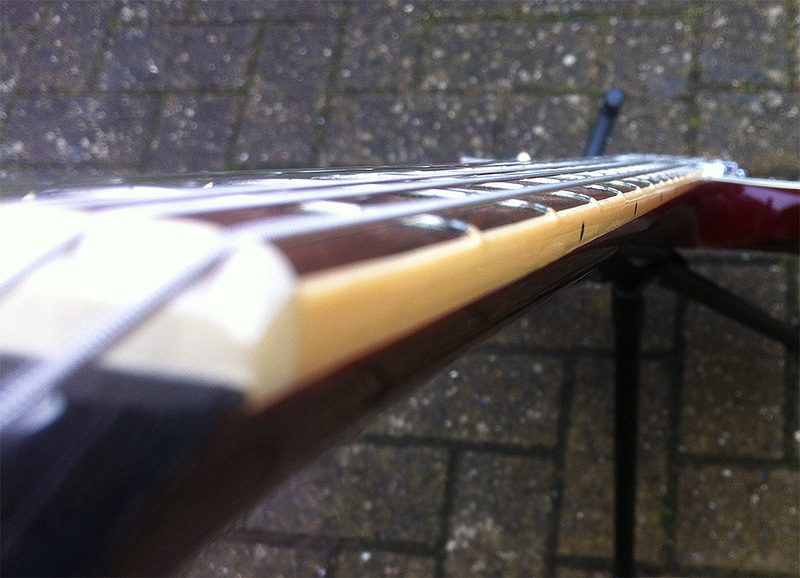 It had not been played for a long time most probably because the truss rod was entirely slack resulting in super high action. 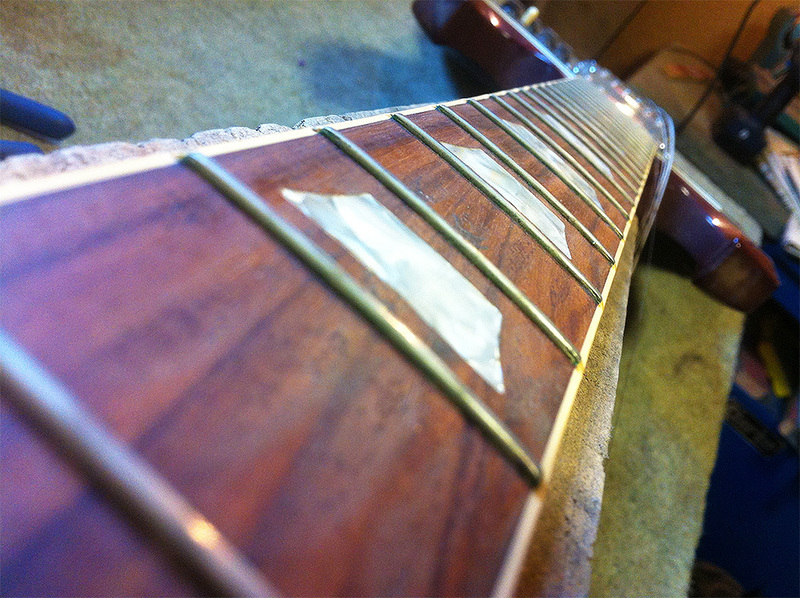 Note the Gibson SG fret edge binding. 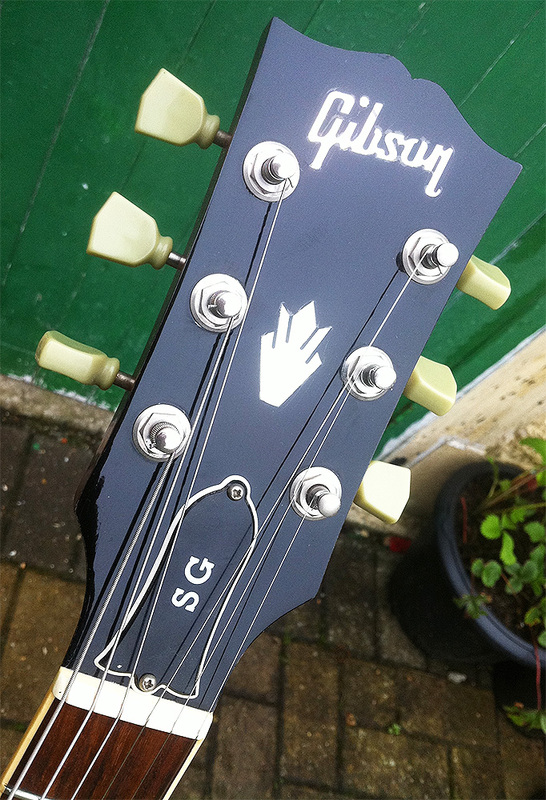 The more affordable SG studio model does not have this adornment. 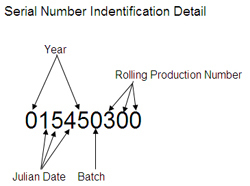 Built on the 31st January 1995.